Made in the USA. Lightning fast turnaround. Free shipping. 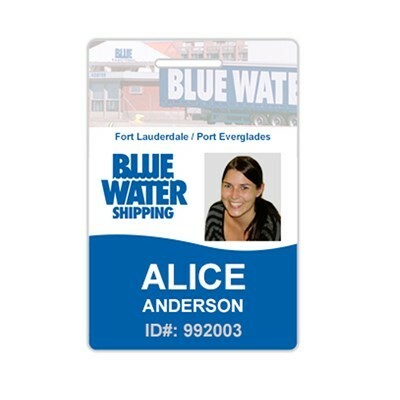 Our full color photo ID's are printed using the latest high definition printers. Standard size CR80 (2 1/8" x 3 3/8") on 1/32" .030 thick plastic. Double thickness option available at no extra charge. Unlimited lines of text and individual personalization included. Badges come with an optional slot and strap clip free. Add an optional hologram or premium magnetic fastener option. 2 1/8" x 3 3/8"